Students absolving Secondary Education 1 and 2 in Germany usually do this at the same school. 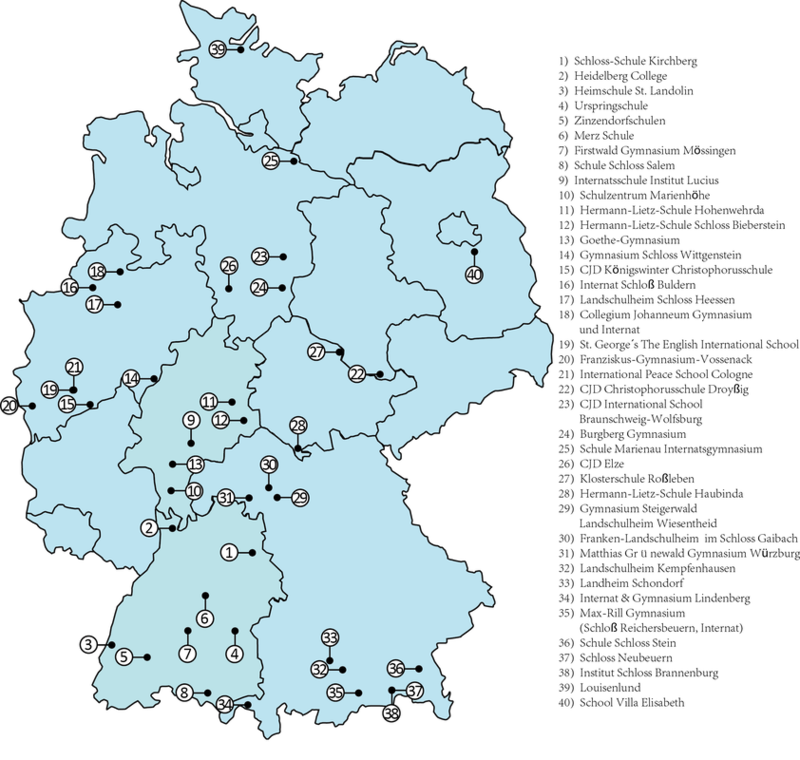 In all states except Rheinland-Pfalz they get their Abitur (High-School Degree) after 12 years in school. The laws in different states are currently changing. Contact us for a detailed consulting. After taking one´s Abitur (High-School Diploma) most people in Germany go for a Bachelor's Degree at University. This usually takes three years. Some Universities also offer four year programs, but these are rather rare. Bachelor's and Master's Degree together always require five years of study. "Not sure where to go?" Let us help you choose your perfect destination!